Two of the songs from this album received significant edits for single release. “Take Me Down” was their first RCA single that I really did not like. At the time I thought it was a surprising choice for a single especially because it was released at the beginning of summertime. The song seemed rather down for that season. “Gonna Have A Party” would have made a far better summer single and likely would have been much better remembered. Never met anyone that cites “Take Me Down” as a favorite Alabama tune despite the fact that it was their 7th number one single. After Alabama had released “Close Enough To Perfect” as the third and final single from that LP in the late summer Kieran Kane released his own recording of “Gonna Have A Party” for Elektra in the fall of 1982. Kieran’s single only climbed to #45. 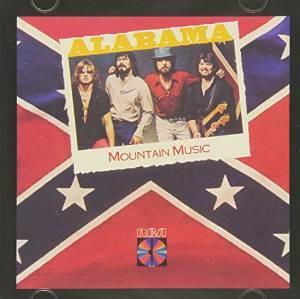 Well I will say that Take Me Down is one of my favorite Alabama songs. Probably top 10, although they have so many great songs that I can’t be absolute about that.